Yesterday did not feel like a December day it being so warm but I looked at Christmas trees anyway. There is a quaint tree stand in the neighborhood selling Balsam Firs grown in North Carolina (I think the trees are from Canada). The Québécois women and man who staff the stand keep warm in a small shed and spend their down-time making "Charlie Brown" trees and ornaments. The Washington Square Park tree is a Balsam Fir grown in Vermont. 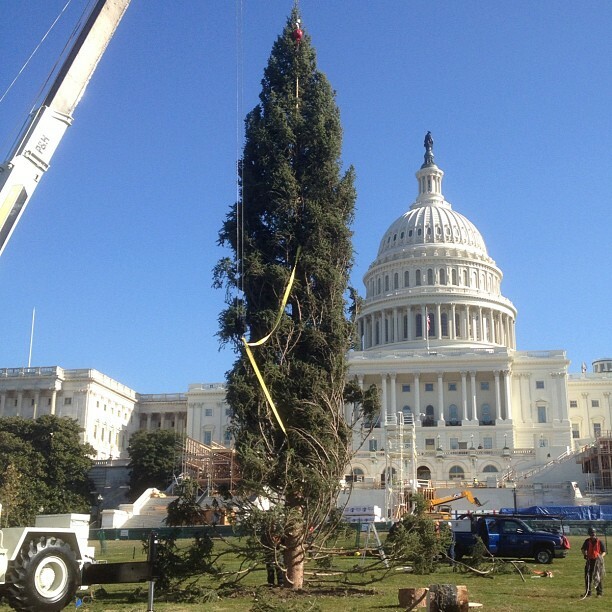 The tree arrived on November 26 and will be lit tonight, December 5th, at 6 p.m. reports the Washington Square Park Blog. The tree is quite tall. It tops out at the rise of the Arch. The total height of the Arch is 73 feet and 6 inches. Much shorter but in a grander location is the 2012 White House Christmas tree. The 19-foot Fraser Fir grown in Jefferson, NC will be decorated in theme of "Joy to All" and displayed in the Blue Room of the White House. 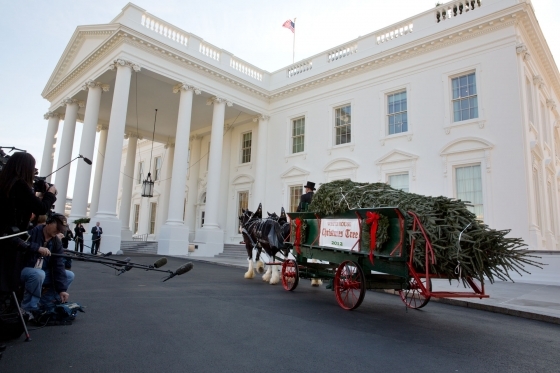 Lastly, is the Capital Tree: a 73-foot Engleman Spruce from the White River National Forest in Colorado which was transported by mack truck by former US Senator Ben Nighthorse Campbell. The tree was lit yesterday, December 4th. According to the USDA Blog, the 5,000-plus ornaments "were crafted by Colorado's youth" which were displayed at many stops along the tree's journey to the Capitol. Will you celebrate the holidays with a Christmas tree? P.S. The New York Times profiled Christmas tree research labs this month; you can read the article here. 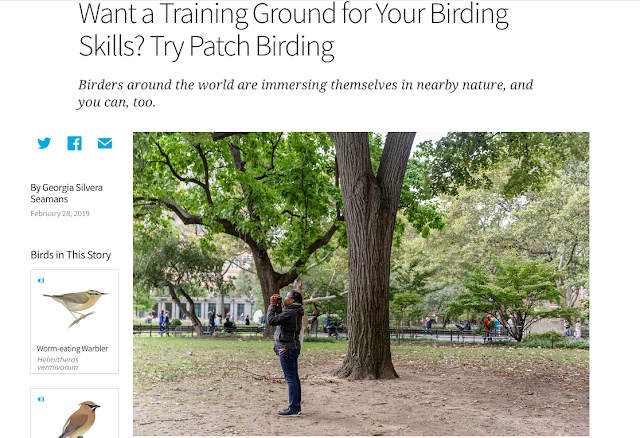 Hat tip: BLDGBLOG. It would not be Christmas without a tree, and by tree I mean a real one. We are fans of real trees, too!